The experienced team at The Diablo Dental Group in Danville, California, offers comprehensive general dentistry services to protect the health of your teeth and gums. Providing a wide variety of preventive care options — including routine cleanings, X-rays, and dental exams — the dental team leverages years of combined experience. The friendly, welcoming staff boasts state-of-the-art treatment options for gum disease, bad breath, and other common dental issues. 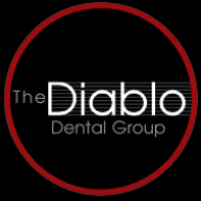 To learn more about the general dentistry services provided by The Diablo Dental Group call the office today or book an appointment online. What general dentistry services are available? You can expect a custom treatment plan for any new or existing dental issues to protect the health and appearance of your smile. The staff works closely with you to determine the best treatment options for your condition. They look forward to establishing a long-term relationship to keep you smiling with confidence. What happens during a routine exam? The Diablo Dental Group team starts each examination with a discussion of any issues or symptoms you are experiencing. If you have pain or bleeding from the gums, your care provider focuses the exam on identifying the cause of these issues all the while ensuring your overall dental health. During your exam, your dentist evaluates the health of your teeth and gums, often using a mirror and other dental tools to perform a thorough and pain-free inspection ensuring you’re comfortable and relaxed. It’s recommended you schedule an exam every six months for optimum dental health. Once a year, the dental team will take digital X-rays of your mouth to evaluate and monitor any changes. What can I expect during dental X-rays? The staff at The Diablo Dental Group uses the latest digital X-ray technologies to get a closer look at your oral structures including your teeth, gums, and jaw. These technologies use less radiation than traditional X-rays and provide high-quality images of your oral health. Digital X-rays are painless and offer immediate images for your dentist to review. If the team detects any issues that impact your dental health, they use the X-ray information to create a customized treatment plan. Why do I need professional dental cleanings? While it’s important that you brush and floss your teeth after each meal, you also need a professional cleaning every six months to achieve a deeper clean. Home care isn’t enough to remove all the buildup of plaque and tartar that causes cavities and gum disease. By scheduling routine cleanings, you can be sure your teeth are thoroughly cleaned. The appointment also gives your The Diablo Dental Group dentist the opportunity to evaluate your oral health and correct any issues before they become serious. Stay proactive about your oral health. Schedule your next dental checkup or cleaning today by calling the office or using the convenient online booking feature.